This tutorial, focussed on 1940s dresses, is the second in a series of vintage fashion tutorials which will cover numerous styles from the 1920s to the 1970s. We'll look at early 1940s dresses here, covering basic design features and touching on changes due to the influence of World War 2. 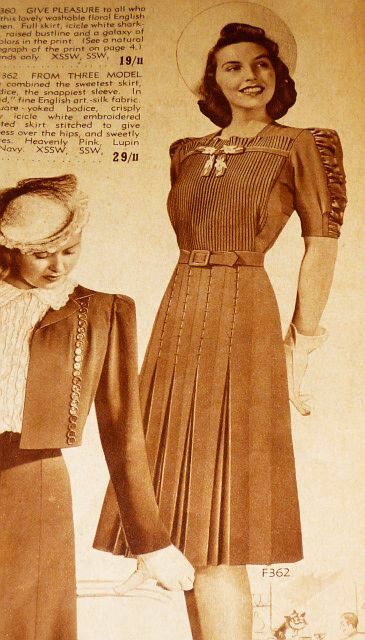 One of the key features of 1940s clothing is the detail. Apparently most dresses took at least 8 times longer to make than they do now, and may have had up to 5 experienced seamstresses work on them. Look at the fabulous amount of work that must have gone into the 2 dresses above. Forties dresses often featured stunning work to the front bodice-whether it be shirring, pinching, pintucks, gathers or embroidery, there was usually lots to look at. 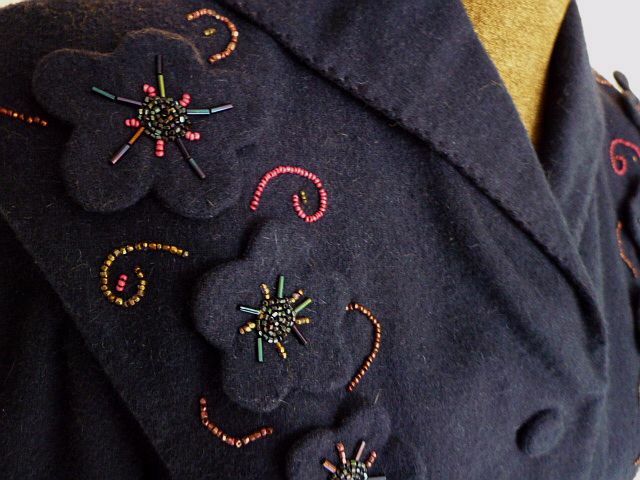 Self-covered buttons continued their popularity throughout the 1940s, and top-stitching was also widely used. Appliques and bead work on bodices were big news. All can be seen in the above photo. This dress just amazes me! 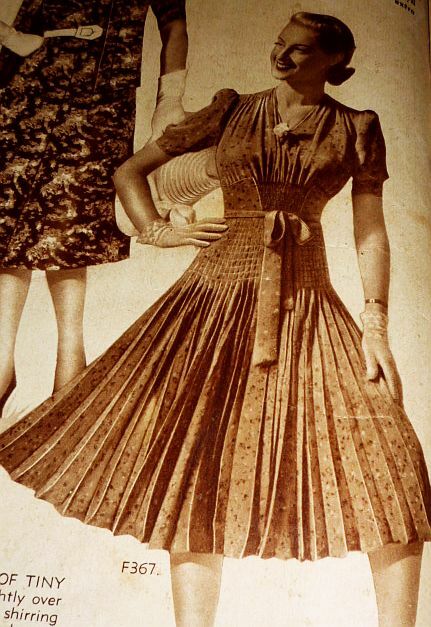 Fancy pockets were another 40s design feature, this dress is obviously a shining example. Note the lace collars above and below. 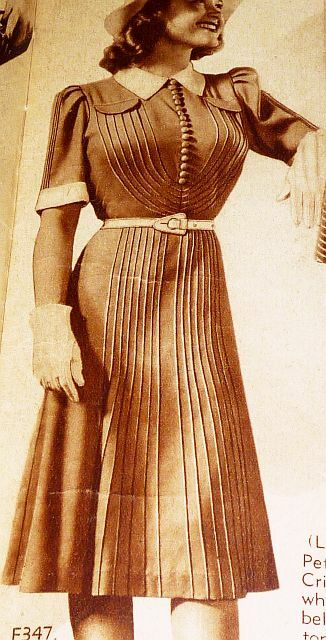 Pleating in skirts was also very popular, though this was largely phased out in 1941/42 in the Northern Hemisphere with the introduction of fabric rationing. 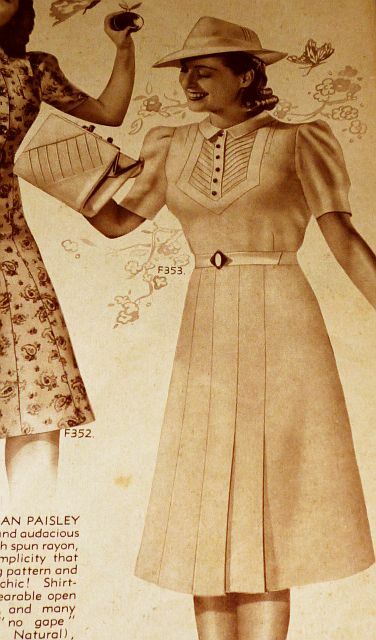 This rationing also caused the average dress to lose many of the style features that were popular at the time-fancy pockets, full skirts, gored skirts, extra length, collars, bias cutting, etc. While those in Europe suffered severe shortages for many years, Australians didn't. Food and clothing went to a coupon system in June 1942, based on the British model. This wasn't phased out until 1948, but shortages eased by November 1945 and many of the coupon ratings were significantly lowered at that time. Fabric rationing in Australia was not nearly as severe as in Europe...it was more the amount rather than the style of clothing that was limited. 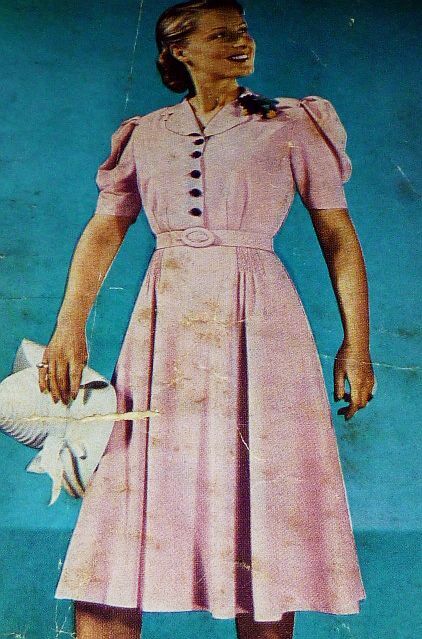 Most of the pictures you see here are from an Australian mail order catalogue from 1943. So, what else do we look for when trying to identify a 1940s dress? An overall modesty. Necklines were high, sleeves finished nearer the elbow than the shoulder, and hems were always below the knee. A nipped waist, most often with a belt. A feature belt buckle or self-covered belt buckle was the norm. This dress features beautiful pinching. 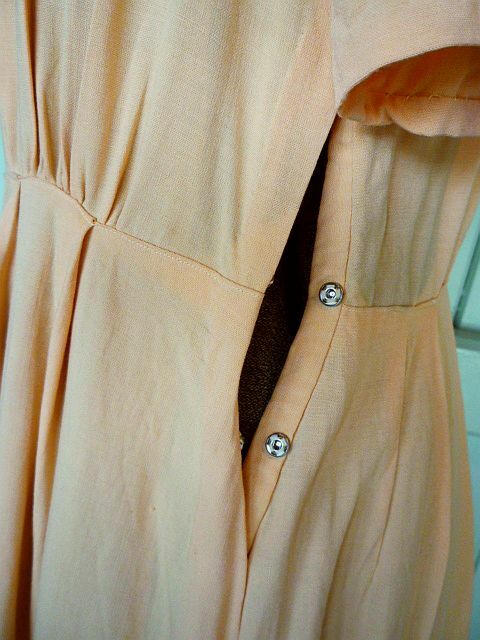 Many 40s dresses had buttons down the front like this, but they were usually decorative rather than functional. Opening were at the side, via a metal zip, press studs, hook and eyes or buttons. Fabrics were mostly rayons with some wools. Silk everywhere was needed for parachutes, so was little used. Some fabrics were a rayon blend and there were lots of rayon crepes around. Strong shoulders. 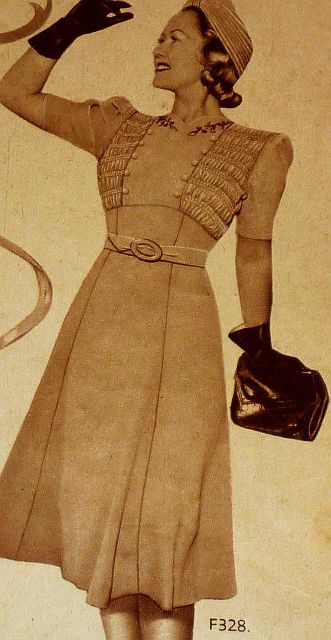 Sleeves were often gathered across the top, and/or had shoulder pads sewn in. Only modern shoulder pads have foam: forties dresses have a heavier material inside, I don't know what it is but it takes ages to dry! Diamond-cut waist panels and basque waists. Note again the modest neckline and lace collars. The forties woman would always have left the house wearing proper foundation garments. At the time, that would have meant a super-tight girdle and a full slip over the top. These allowed dresses a neater and better fit and meant that pesky side zip (or worse) was easy to close. In terms of garment construction, what defines a 1940s dress? Seen above, side opening, this time with press studs. Look for a label, but don't expect to find one. 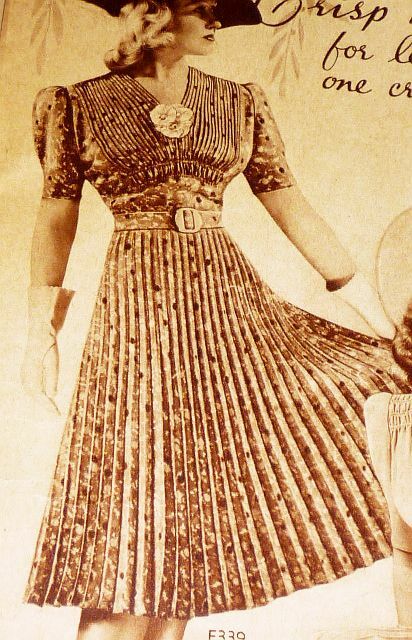 Many dresses were home made or may have lost the label through time. Seams won't be overlocked unless it has been done as part of a later alteration. They may be pinked, sewn under, occasionally rolled, taped or left looking 'a bit rough'. 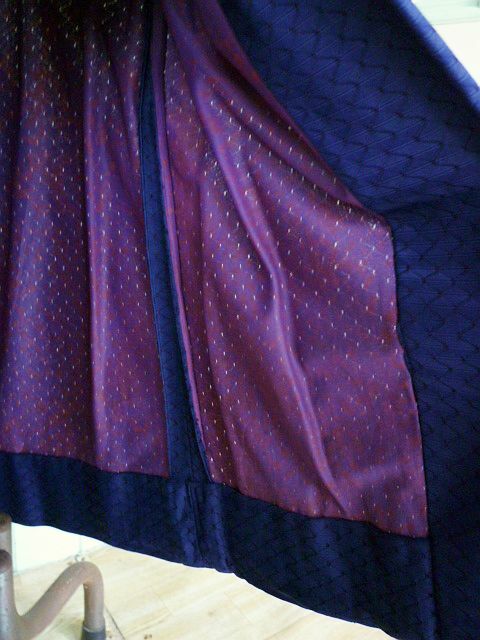 A generous hem and seam allowance is usual, as shown above. Last but not least, my just-departed 40s dress. I know you've seen it before but I couldn't resist! Stay tuned for another fashion tutorial next week. Wow, what a brilliant post! So much great information, thanks for taking the time to do this. I love all the detailing on the garments. What a wonderful insight! I just love all the old images you have used. The detailing on the 1940s dresses is just amazing. I used to not be sure about the style but these pics just prove it was a gorgeous era! I just love the last garment!! Hope you get more I'll have to live at the shop :) Em. Great post, thanks Kitty! I remember my Granny telling me that she and her sister used to make their own shoulder pads from horse hair that they compacted under heavy books, before sewing between layers of fabric to match their dress. No wonder they take ages to dry! Marilyn, we get new stock every week but the 40s dresses sell within a few days. Sarah- thank you! Now I know. How interesting , i want all those beautifully detailed dresses. Such cute pockets. Thanks for posting this amor. If only dresses were made this gorgeous nowadays!! 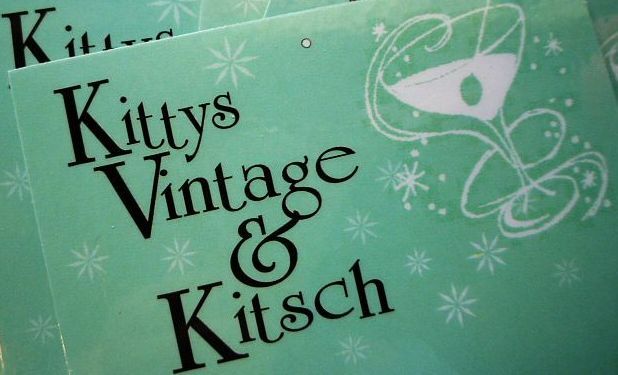 Awesome post,Kitty,such great research,and pix! 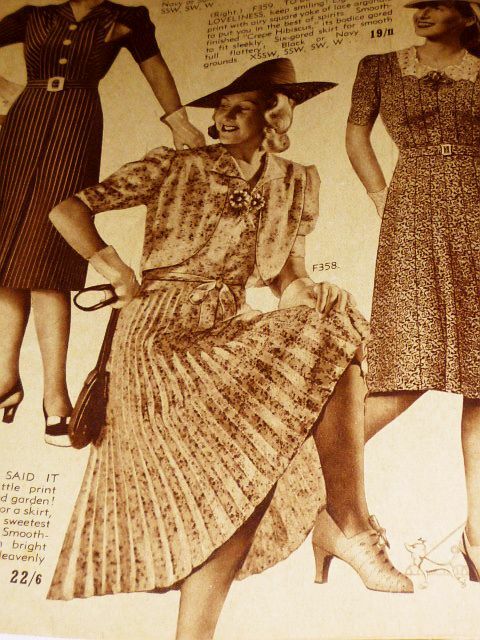 I DO love the details of 40's frocks,I'm personally not into the shoulders though! But I could be swayed,looking over these pretty pix again.....hmmmmmm! 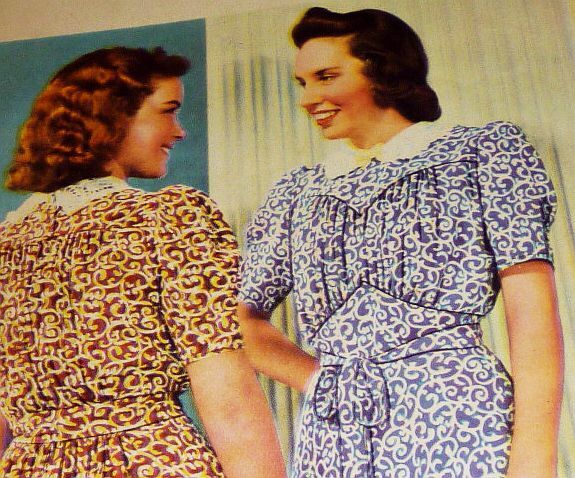 My dear Kitty, nothing I love better that 40s dresses. I think they are the most flattering for the women body. You are sooooooo pretty, I want to see you in every post, hehheh. Great post! thanks for the info. 8 times longer to make, wow! 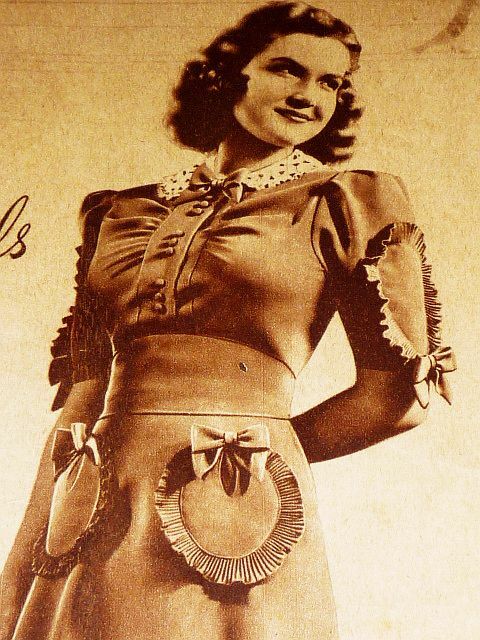 Is it just me or were the 40's great for pleats and ruffles? Thanks for posting this, it's really informative. Great for sharpening my vintage knowledge!